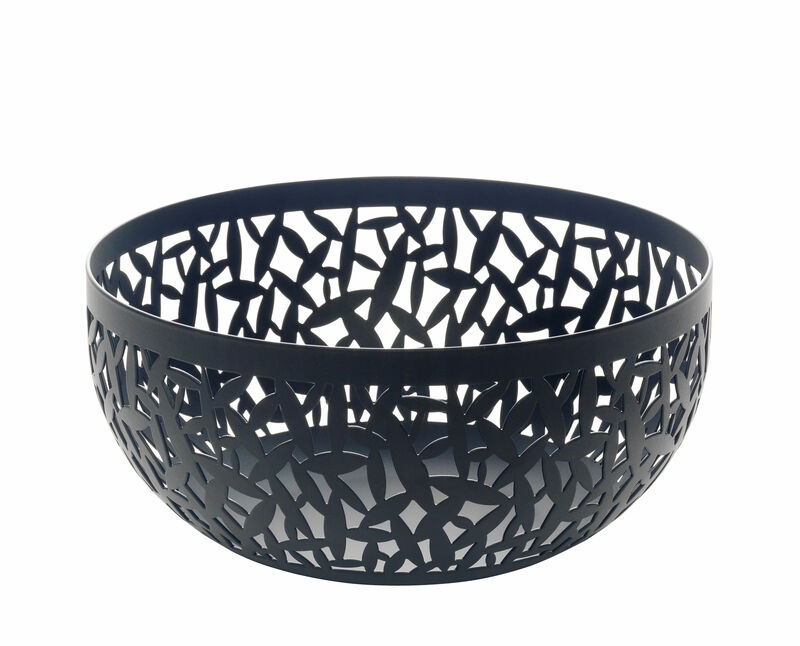 Fruit bowl in steel coloured with epoxy resin, black. The success of the "CACTUS!" 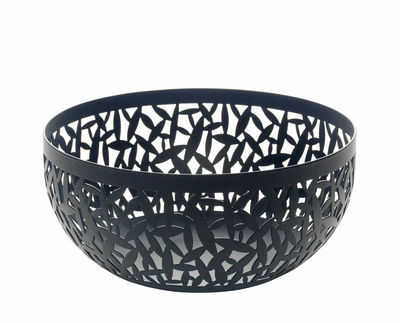 range for the table, designed by Marta Sansoni and the Centro Studi Alessi, and in particular our mirror polished stainless steel fruit bowl of 2002, has led us to consider a third colour, conceived with the help of Claudia Raimondo: matte black.